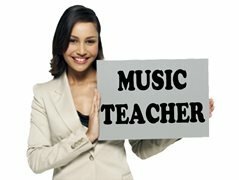 Are you a professional music teacher? Are you looking for more students? If you have your own transport, an up-to-date DBS check, and at least 6 months professional teaching experience, we’d love to hear from you. We need drums, singing, strings and piano/keyboard teachers. We cover East London area. If you are who we’re looking for please get in touch via this ad with some information about yourself (what instruments/topics you teach, experience, contact details), and we’ll let you know more about this opportunity. Tutor must have at least 6 months teaching experience, be used to work with children and have a good level with his instrument as well as ease to pass on his knowledge and foment passion on the student.